Not all are shown. The images in the promos have been reduced. Something exciting just flew in in time for the holidays–some festive wings. 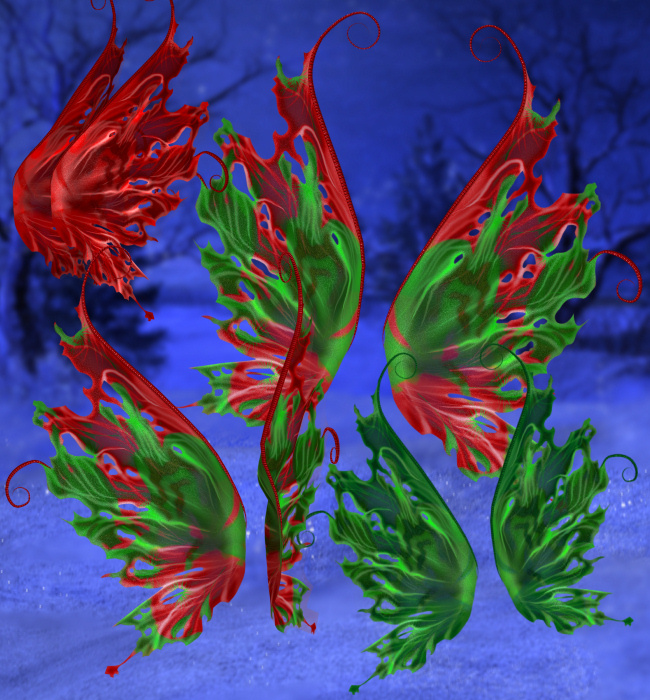 Turn just about anything into holiday fairies with these Festive Christmas Wing Graphics. You’ll have fun creating something lovely and magical for the holidays. Several perspectives of the wings are included to make them more versatile. They also come in two multi-colored red and green versions and in simple red and green versions so that you’ll have the perfect wings for your projects at your fingertips. 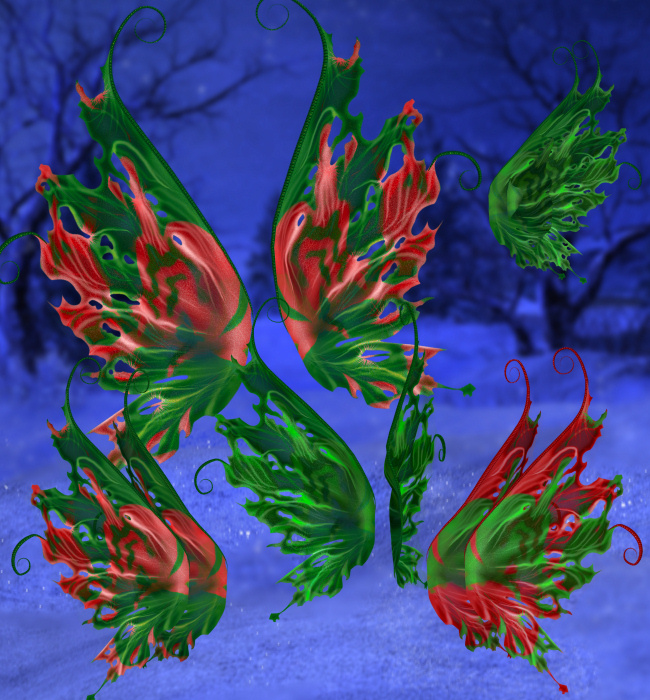 I used these wings in my Holiday Candy Cane Fairy Graphics package and wanted to share them with you. These graphics are approximately 1000 X 1600 pixels. All are 300 DPI, making them great for print projects. This package is two zip files, which are approximately 45 MB each.